Christening gowns. 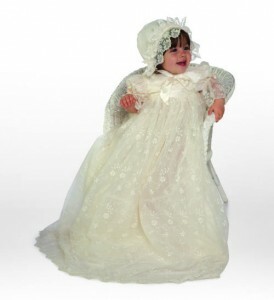 Traditional christening gowns for baby girls and baby boys. Traditional christening gowns for baby girls and baby boys, in silk and cotton. Beautiful christening gowns from Little Darlings, Sarah Louise and Pretty Originals. 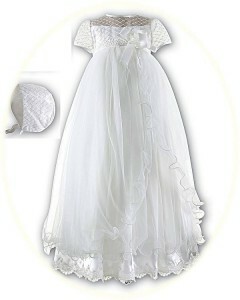 We also have a range of fairytale Italian christening gown in pure silk. Many of our christening gowns come with your choice of free, complementary, christening shoes.